We’ve all seen brightly-colored chamber indicators before. But Chamber-View has come up with a better mousetrap — a solid, precisely-shaped silicone block that holds the firearm action open and prevents the charging mechanism from working. Additionally, unlike flag-type chamber indicators, Chamber-View devices block off the loading/ejector ports to help prevent dirt, moisture, or contaminants from getting inside. The Chamber-View product line includes safety devices for semi-auto/pump shotguns, AR/AK type rifle platforms, breach loading over/under and side-by-side shotguns, along with semi-auto pistols (both centerfire and rimfire). Each Chamber-View product is precisely designed and shaped for good fit and retention. 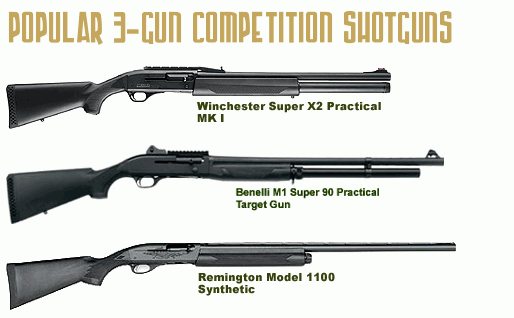 The tapered design of the Shotgun device allows it to be used in a variety of scattergun action sizes and types. The patent-pending Chamber-View products are made of brightly-colored 100% silicone. This material has many advantages. It lasts a long time, staying flexible and resilient across a wide range of temperatures. The silicone won’t scratch fine metal surfaces. The material is not affected by most fluids and chemicals, and is heat resistant. In fact, the Chamber-View is an excellent heat sink. Chamber-View devices come standard in neon blaze orange, but a variety of bright custom colors are available. Share the post "Chamber-View Serves as Chamber Indicator and Safety Device"
Share the post "Iain Harrison Explains How to Get Started in 3-Gun Competition"